Are you looking to work for an award winning and quickly growing company that offers extremely competitive pay, immediate benefits, training programs, casual work environment and a fast career path? If so, SecurityCoverage, Inc. is looking for a technical support representative for our help desk. You must be customer service oriented and have an interest in technology to work in our Cedar Rapids, IA office. As a Help Desk Support Representative you will be responsible for answering and responding to inbound ISP and technical support calls, troubleshooting voice, data and video issues, installing software, and general troubleshooting for our customers. You will also educate our customers on our products and provide other information as needed while providing world-class customer service! Health, dental and vision insurance, prescription drug coverage, short and long-term disability, voluntary term life insurance, matching 401(k) plan, supplemented parking, health club allowance, a focus on employee development and a fun, casual work environment (yes, jeans). Our Mission: To simplify the use of technology for computer users and provide world class customer service. Our Vision: To be the market leader in delivering managed services to residential, home office and small business customers by developing relationships with key service providers and vendors in multiple industries. Our Values: Revolve around creating a work environment that is respectful, challenging and fun while allowing individuals to make direct, meaningful contributions to our mission and vision. 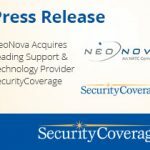 SecurityCoverage, Inc. is an equal opportunity employer and provides fully managed, fully supported, mobile and desktop computing security and technical support services to individual users through a partnership group of ISPs, telecommunications and cable companies, and wireless providers across the nation. 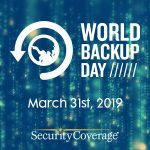 Based in Cedar Rapids, Iowa, the privately-owned company offers internet security protection, online data backup, password management, virtual PC repair, and help desk support.